CMRP & Ride 63 Cycling Club Donate £2k to CLIC Sargent. The funds were raised from Pedal the Park entry fees, photographic donations and participants themselves! 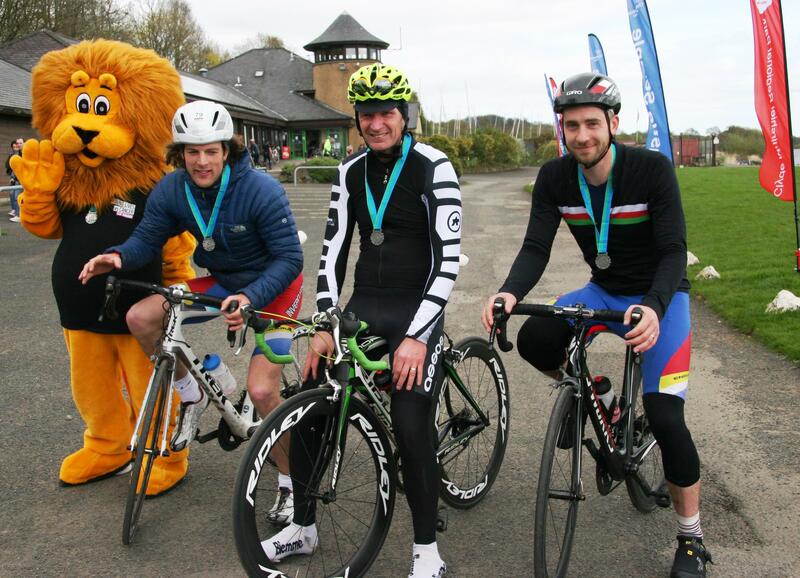 An impressive two thousand and fifty pounds was raised by over 200 cyclists at this year’s Pedal the Park Sportive organised by Community Cycling Club Ride 63 in partnership with Clyde Muirshiel Regional Park. 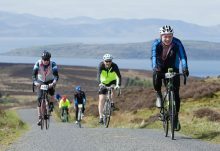 £5 of the £15 entry fee went to the charity as well as some cyclists raising their own funds and giving additional donations for event photos. 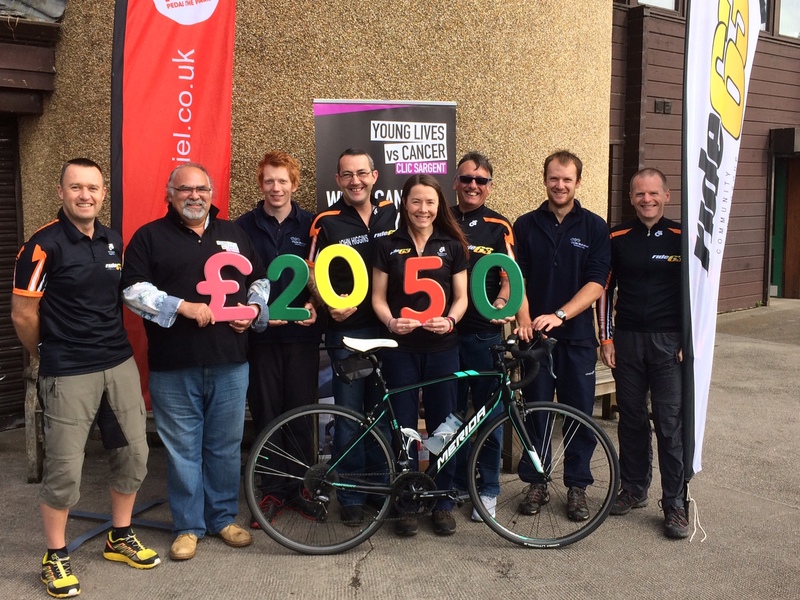 Pictured at Clyde Muirshiel’s Castle Semple Visitor Centre Lochwinnoch handing the donation amount over to CLIC Sargent’s Alex McLean (2nd from L) are Ride 63 members David Hill (front L), John Higgins (4th from left), Claire Paterson (4th from R), Jim Maycock (3rd from R), Hugh Wallace (Right), and Regional Park staff Lewis Neilson (3rd from L) and Euan Jarvis (2nd from right). 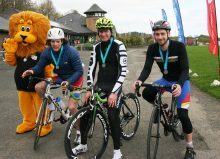 The event started and finished at Castle Semple Visitor Centre on Sunday 22nd April 2017 where all participants received goodie bags and a Pedal the Park medal for their efforts from Rachael Mclean, CLIC Sargent Fundraising Manager – West of Scotland. 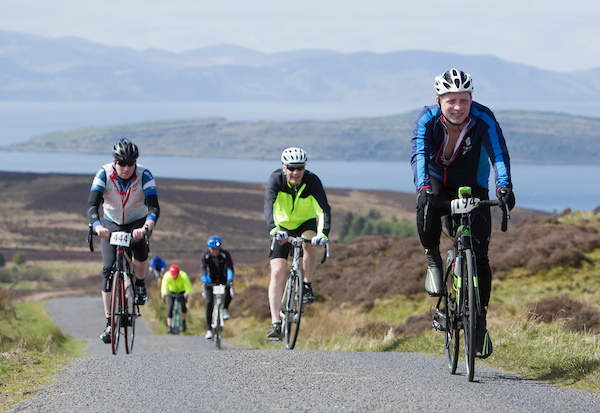 David Gatherer, Regional Park Manager said “The Regional Park are delighted to work in partnership with Ride 63 and CLIC Sargent and see so many folk out on their bikes on what was a lovely sunny Sunday. As well as the fund raising benefit, the ride highlighted some of the cycling options available in the area, plans are progressing to look at more off-road opportunities as well.